Add a little length and keep the already impressive Jackal Ghost shape…This should be pretty good. It feels like an asym Venom Shock Pearl. 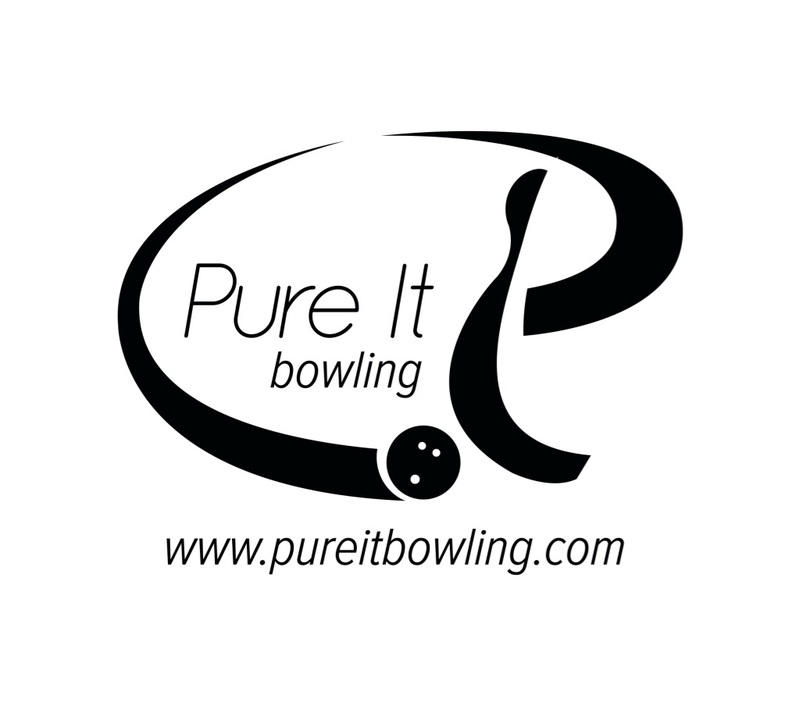 Thanks to Jeff Smith and Pure It Bowling for drilling our equipment. It’s almost a default score for pearl asyms but the Golden Jackal is deserving. 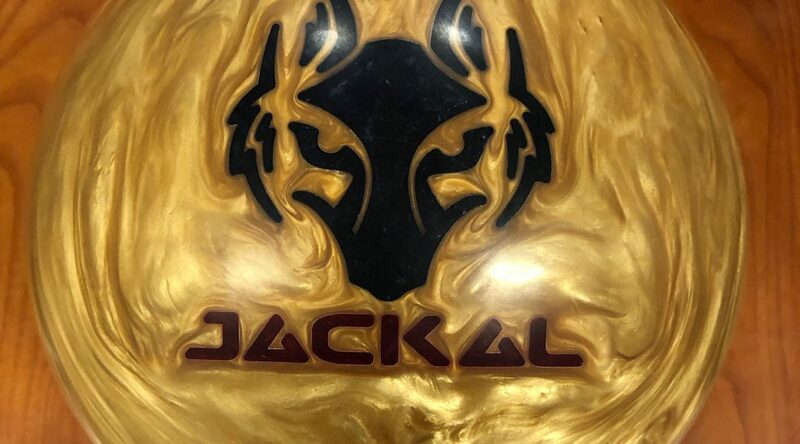 The Golden Jackal uses the Predator™ V3 asymmetrical weight block inside the Hexion SE Pearl Reactive coverstock. How can you go wrong with a gold ball right? All kidding aside, I think this formula has been anticipated for a while. 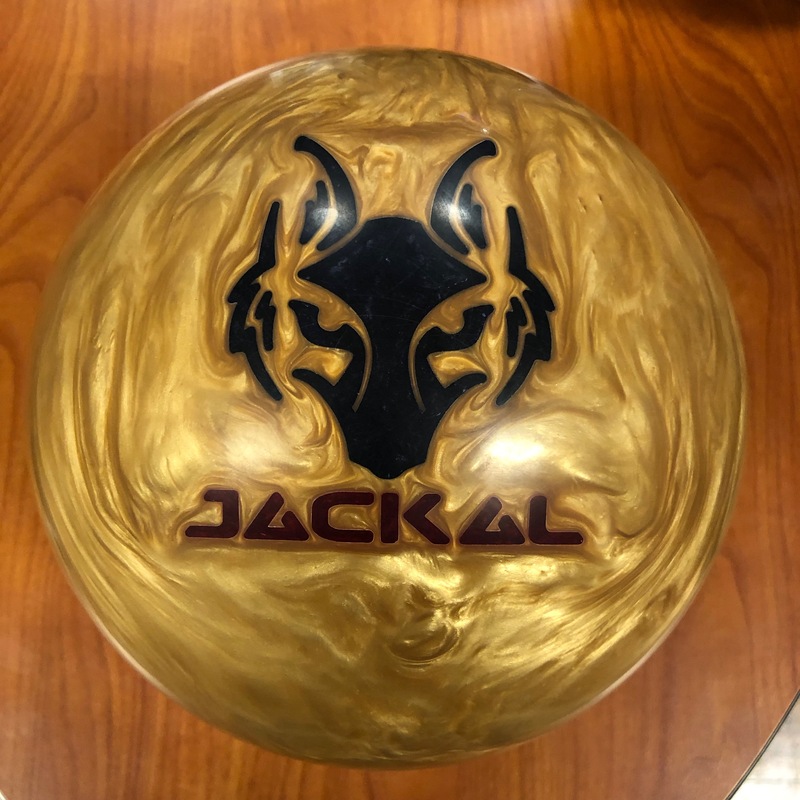 I really found the Jackal Ghost to be a great ball that had a reliable motion and great versatility, not only for different patterns but different bowler styles. The Predator core is not new. The V2 was in the Ghost and the V3 was in the more rolly Rising. Now add the Hexion SE Pearl cover. I’m not 100% certain if this is the same exact formula as the Villain Scorn but should be close at least based on the nomenclature. The Villain Scorn was pretty quick off the dry if a little speed sensitive. What stood out to me was the fact that the Golden blended the lanes pretty nicely. Basically, take the surface to 4000 and add a bit lower RG and the balls are quite different, fascinatingly so. Ultimately, as you would expect, the Golden Jackal is very readable. It doesn’t surprise you and is pretty forgiving. That’s because it’s relatively smooth off the dry. You feel forgiveness with misses in and out. Cody has a higher rev rate and 60 degrees axis rotation so you see the ball pick up and go but pretty smoothly. The Villain Scorn was much quicker off the spot. Good compliment for a top line pearl asym. I have a lower rev rate than Cody but I saw the same type of motion, if not less overall. Just as a caveat the pattern was playing a lot longer/slicker than it normally does so I played a tighter breakpoint than I normally would. Nevertheless, you can still see the motion. About 16 to 10 was the ideal line on this tricky pattern this given night. You can see the good length while the core is turning over and the smooth transition. The transition can be more aggressive if there is more friction. And that’s the fun thing about this ball, it’s versatility. You’ll see later on Viper. It’s a 36′ pattern that you wouldn’t at first glance think pearl asym but for me it looked great. 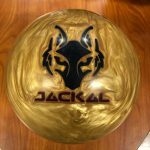 Finally Bryan tests the Golden Jackal and despite the slicker pattern, the ball is still shaping nicely. He can play close to the friction line. It was a little tight as mentioned so while he had ability to get to the pocket fairly easily, carry was iffy. This shows the difference between the different bowlers games. Nevertheless, the ball had good shape and came off the spot nicely for him. He also saw versatility from the Gold ball. He could play in the friction like 9 to 7 or even deeper 14 to 10. We tested on the 36ft PBA Viper pattern. 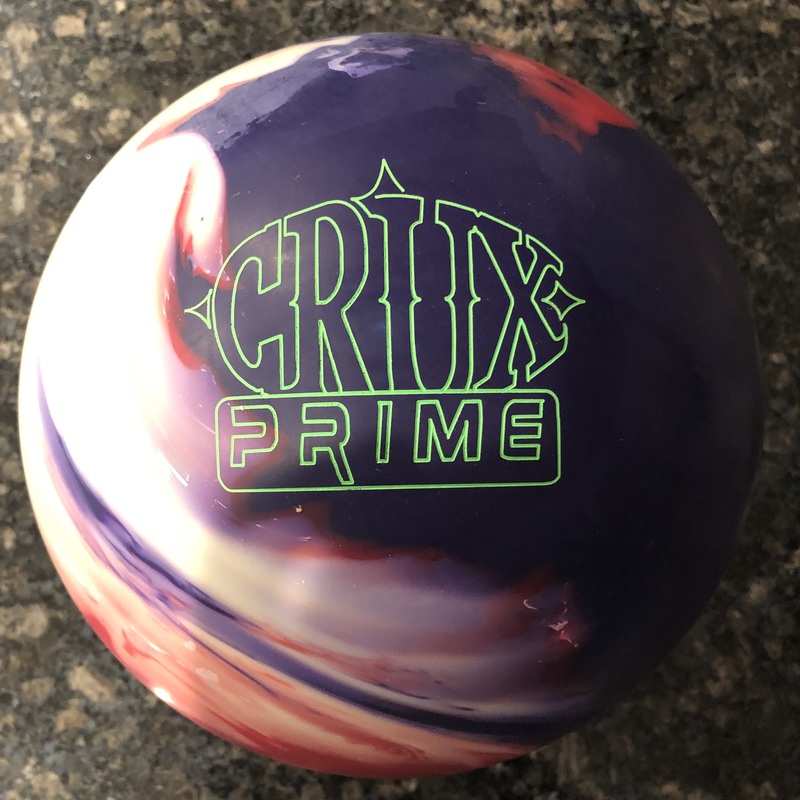 Cody in practice is likely to use urethane on this pattern with the amount of hand he has. Nevertheless, you can see the versatility of the Golden Jackal. 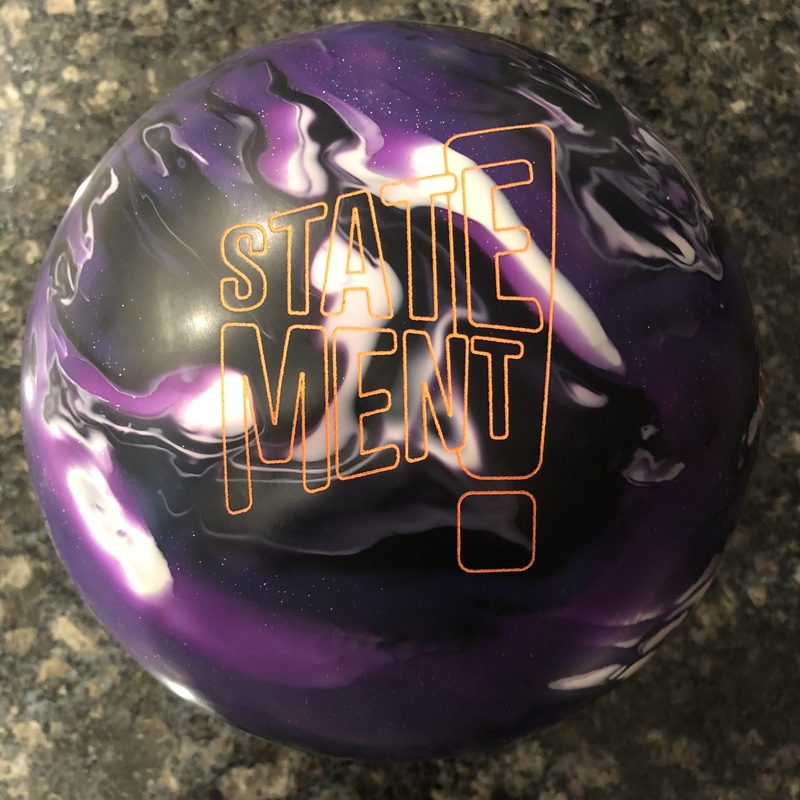 It was much smoother off the spot than anticipated and that only tells me the ball has got benchmark-like tendencies. Just for context, you can see how much quicker the Villain Scorn is off the spot making it just about unusable on this pattern. For me, urethane is usable on this but will hit fairly flat, I will look for smooth reactive. Somewhat surprisingly, the Jackal Ghost was very usable on this pattern. In fact, it was a really good match up that somewhat surprised me. So much so that I had miss room which is unexpected with a pearl ball on a tough pattern. Bryan also had reasonable room although less carry than I. Ultimately, a pearl asym would not be Bryan’s first choice on this pattern but really not bad at all. We all enjoyed tossing the Motiv Golden Jackal. I always like it when companies develop balls with good relationships to other balls in their lineup. For me, this fits nicely next to the Ghost and above the Venom Shock Pearl. It’s a different but complimentary shape to the Villain Scorn. 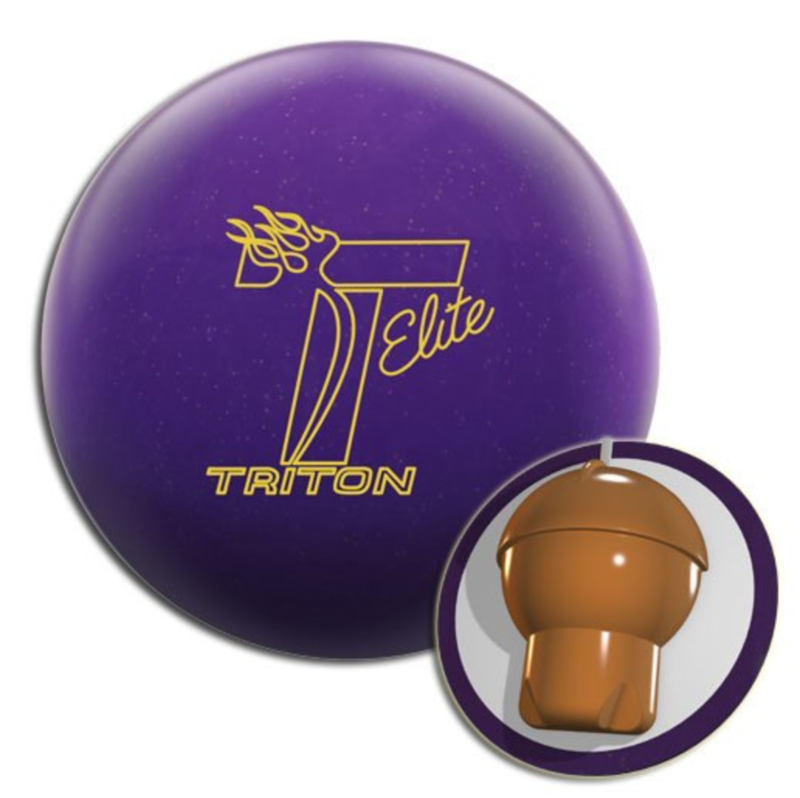 This is a good offering from Motiv and who doesn’t like a good Gold ball?